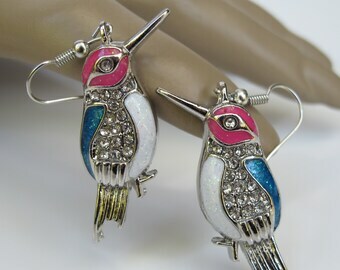 A colorful couple to be sure these Hummingbird earrings are certain to bring a touch of whimsy to your life and emphasis to your ears. 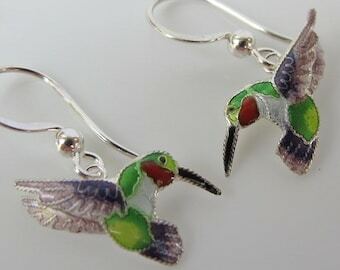 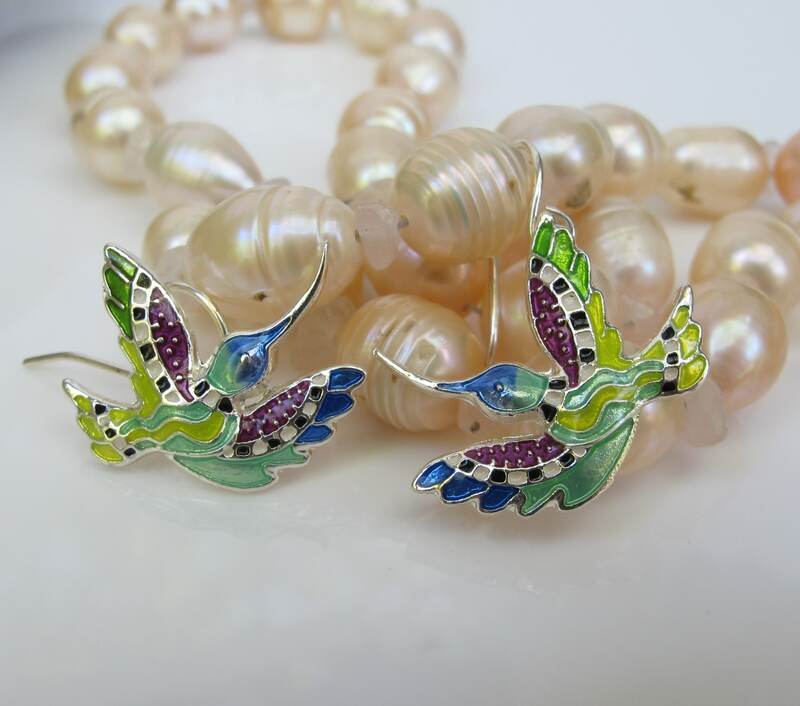 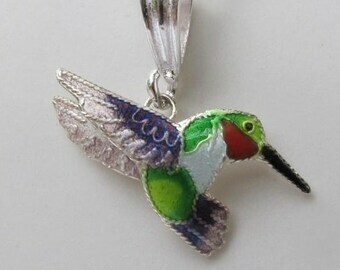 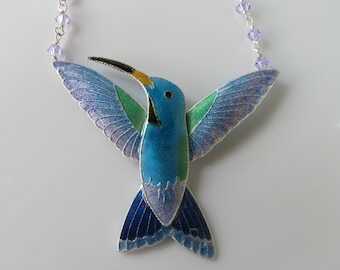 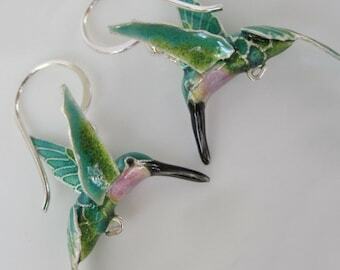 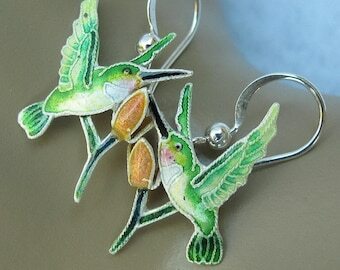 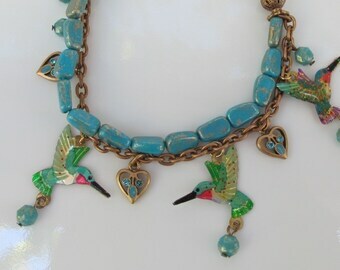 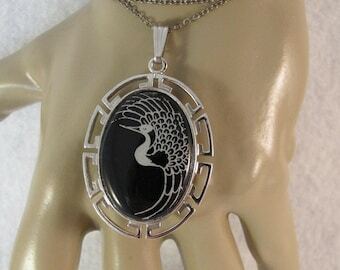 Sterling silver plated with hand painted enamels, the earrings measure 1 1/8 inches in length and are 7/8 inch from beak to tail. 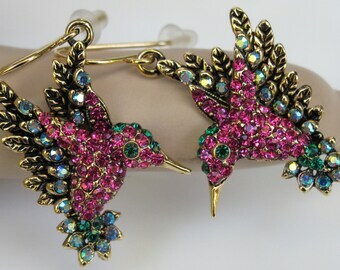 They are in like new condition and ready to rock any outfit. You’ll be pleased, we’re sure!